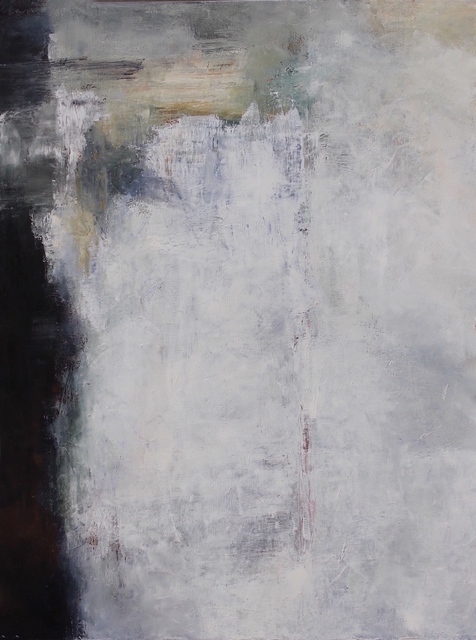 Smith Stephan will be presenting new work in her exhibit entitled Mind Mapping. Working in oil on canvas, she creates complex and layered abstract paintings in vibrant earth tones, as well as shades of blue and white. Vivid Art Gallery will host an art opening for Featured Artist Anne Smith Stephan and Local Artist Ju Young Do on September 7th at its monthly First Friday event. The opening, which runs from 5-8 PM, is open to all and is free of charge. In addition to great art, there will also be refreshments, including the gallery’s signature “Manet Mule” cocktail, and live music. Discussing her preferred medium, Smith Stephan says, “Working with oil paints is such a fascinating medium because of the slow drying process. This allows me to continually go over layers with more paint and glazes and blend them or scrape them away to reveal the colors underneath, almost always using many different palette knives. I work on several paintings at once in order to continually work them - often starting with a complicated composition and then simplifying and abstracting even more.” The results of this process are ethereal paintings which seem to be lit from within. Also on display during the month of September will be works by Local Artist Ju Young Do. Her exhibit, titled The Image of Nature Reflected on Water, will include her most recent paintings. Do’s work is characterized by atmospheric depictions of water executed in deep, striking colors. While she paints in oil, her work has a watercolor-like quality. Delicate yet at the same time bold, her work conveys an emotional connection to the water that she studies over and over again. In addition to the opening at Vivid, Hubbard Woods will once again feature a First Friday “Cocktail Hop.” Stop by Vivid to see the work of these two artists, then browse the shops of Hubbard Woods. A number of neighborhood stores will be open and serving a signature drink. Details are available at www.shophubbardwoods.com.